Quick & fun scrappy applique techniques to create over 30 projects from this single pattern! Each pattern contains a large fold out template with 4 different designs (Birds, Bunny, Kitty, Horse/Unicorn), each in 3 sizes. 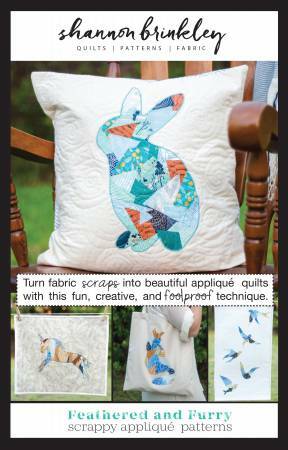 Included are instructions to make a scrappy applique quilt, wall hanging, throw pillow, tote bag, and tea towel.